Sync iCloud with Computer or Mobile Phone. Sync Android or iPhone, PC or Mac. Select the second source or device that you want to sync with iCloud. Sync your Calendar, Contacts and Tasks between computer and mobile phone. Between Google, iCloud and Outlook. SyncGene can sync iCloud with multiple sources. Sync iCloud with multiple services: Google, Android, Gmail, Apple devices, iPhone, iCloud or Mac. 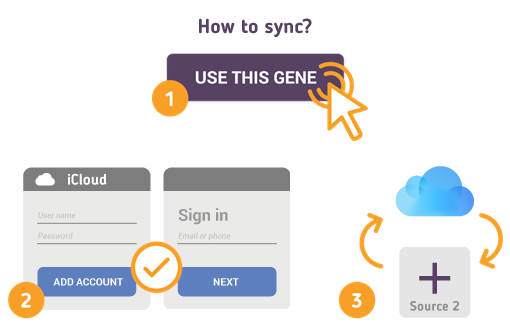 SyncGene is a two-way process to sync iCloud. Changes made on one device will be visible on all connected devices. 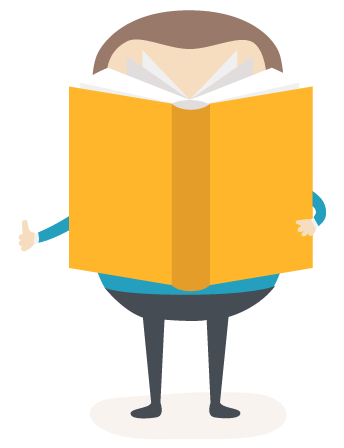 Keep your Contacts, Calendar events and tasks organized and up to date. How to Synchronize iCloud with SyncGene? SyncGene will notify when iCloud synchronization starts. Now iCloud information will be synchronized with connected sources.